Led by singer-songwriter Ian Devaney, Nation of Language evoke a nostalgic ‘80s new-wave sound mixed up with modern appeal. In January, the band released a darkly romantic new single, “On Division St.” They recently supported The Wombats in the U.S. and even managed to recruit The Strokes’ Fab Moretti for another single, the bouncing “Indignities.” . Their new single is a punchy electro-pop tune with Ian Devaney lamenting the monotony of life (“He’s sick of waiting for the sound of something more / That’s the only certainty”) and the surreal nature of reality (“Reality is nothing to me / Where I won’t be as hopeless as I seem / Some kind of waking dream”). Based in Brooklyn synth rockers Nation of Language craft intoxicating new wave music that nods to the past while locking eyes on the future. 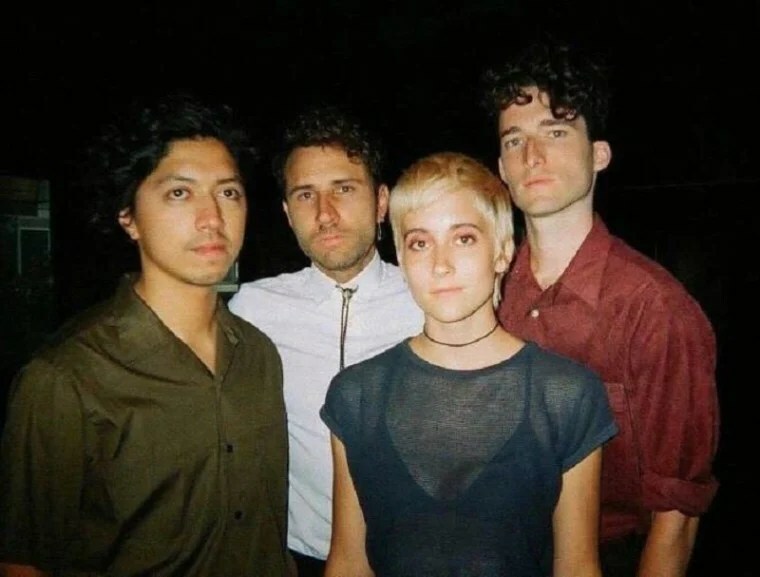 Today, the band have shared another track and new single “Reality,” and it’s got all the hypnotic makings of a late night gem. Frontman Ian Devaney describes the song as “revolving around a person whose everyday life has become so mundane and frustrating that they retreat into their own head.